One art gallery I visited the most was Nike Gallery. 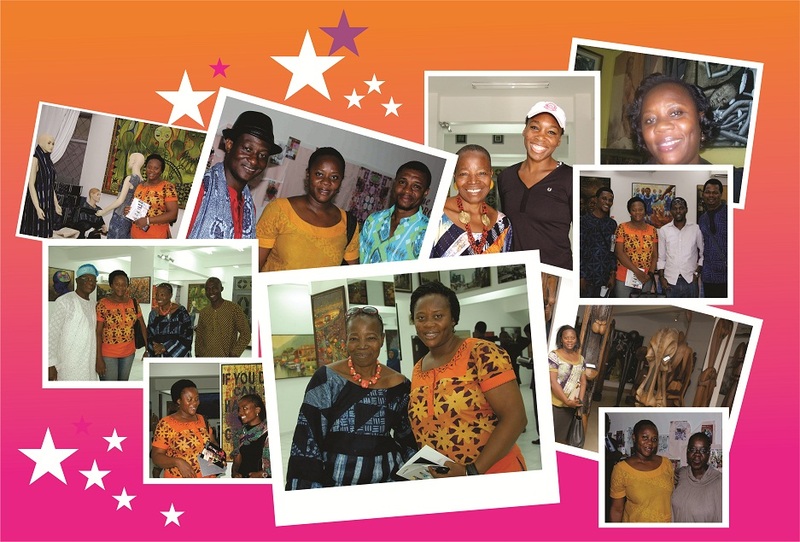 The art gallery was always busy with activities going on there, and I must say I enjoyed the visits because Mrs Nike Davies Okundaye is such a wonderful woman who wants to always have people around her. She has been known for her role in empowering women by teaching them the art of 'adire' (traditional tie and dye cloth) making. I didn’t really set out to document my visits to art galleries in 2012, until I decided to clear off some of the brochures I felt I did not need again. 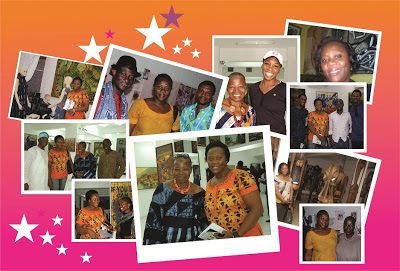 And I was wowed to discover that I made over 50 visits to different galleries in Lagos. At some times I was invited for art exhibitions and at other times, I visited on my own to go and learn more about some works of art and patterns of work of some artists. My only disappointment in all of these is that I did not document my visits enough through pictures. I think this is a lesson for me, and I hope to do so after this period. It was also encouraging seeing how much Nigerian artists are doing to sustain our art forms and raising issues that have helped to document history. These are the evidential things that the generation next would see and proudly reference to. Labels: Bernard Akoi-Jackson , CCA , gallery visit , Literary , Nike Gallery , Nike Okundaye , out and about , Venus Williams.